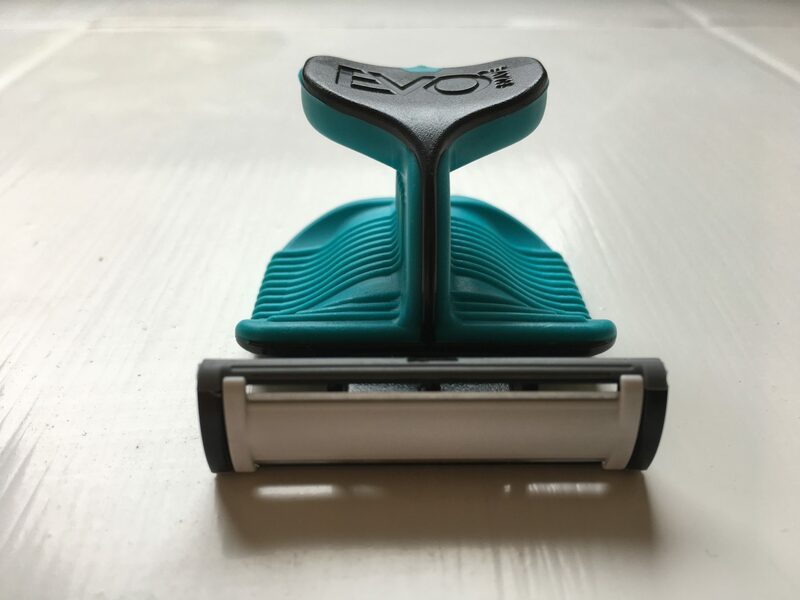 Recently I was browsing Twitter and came across a new shaving product which didn’t look like anything I’d seen before within the male grooming industry – EvoShave. Intrigued, I got my hands on a couple of products so that I could take a closer look. 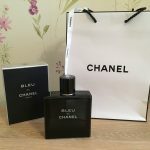 You do tend to find with many products across all industries that there is a completely unnecessary overuse of packaging. I for one dislike this approach and wastefulness so really like the attitude of EvoShave to do their part at reducing waste. 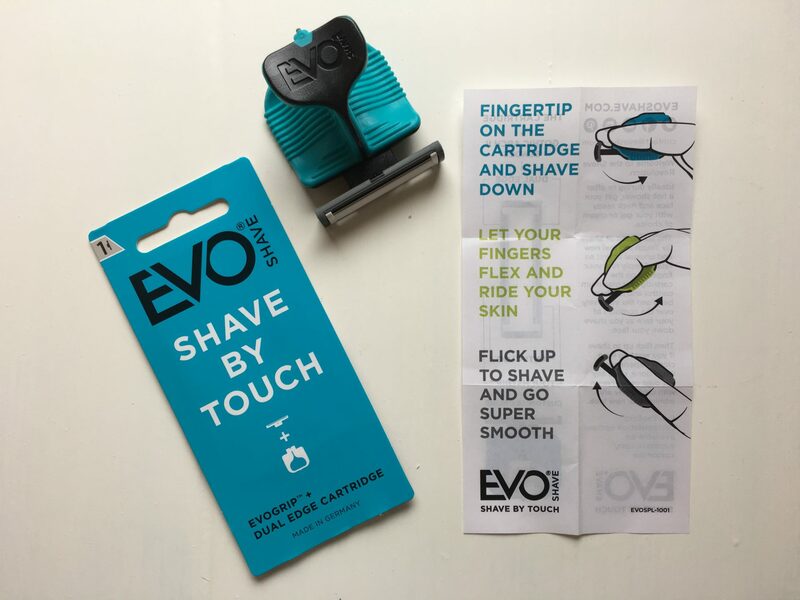 The first thing that you notice with EvoShave is the packaging. 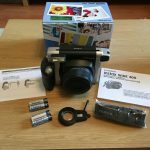 Everything is contained within a nicely designed and sturdy plastic case that both maximises the visual display of the product on the shelf but also acts as your carry case for when you are travelling. Within the case there is a tray to hold your EvoShave and also space for the spare cartridges. 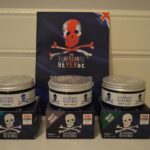 The colours that EvoShave have chosen are striking and coupled with the simple text, makes it a product that really stands out. 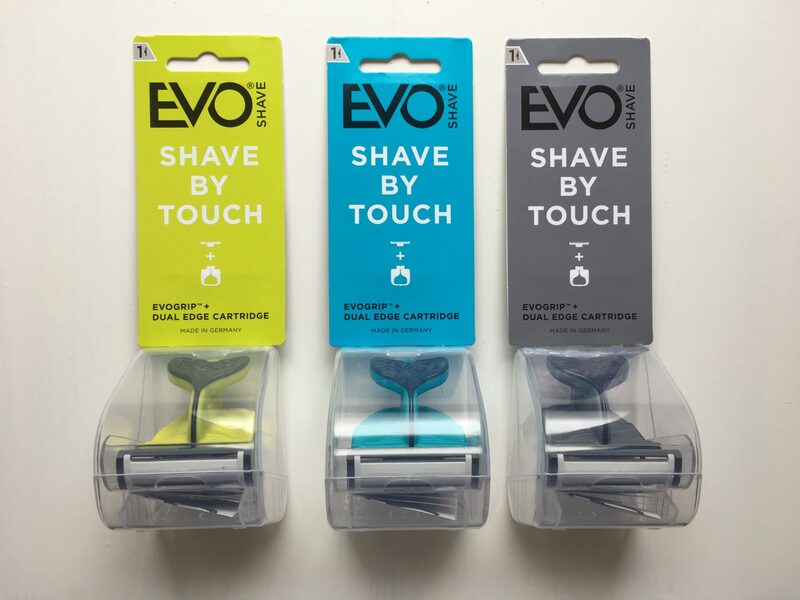 The EvoShave system comes in green, blue and grey so you’re sure to find a variation to suit your personal preference. This revolutionary new handle allows you to use finger muscles rather than the arm – allowing more control, more flexibility and an overall more connected, closer experience. Taking EvoShave out of the packaging I didn’t need to read the instructions about how to hold it. It was really intuitive and certainly comfortable, falling into a natural position between my index and middle fingers. The design of the EvoShave really is something else and it not only does it look great, it has been built well too. The plastic that has been used feels really solid and certainly doesn’t give any indication that it would break. The rubber grips that sit just behind your fingers are also nicely made. They are a soft plastic and sit nicely against your fingers without rubbing or feeling uncomfortable. This product really does feel like it’s had some solid investment into the design and ergonomics to ensure it is comfortable and natural to hold. The blade itself has a patented Gothic Arch II edge which is considered the world’s finest blade profile design due to its unique single facet profile. At just 40 microns width (that’s tiny! ), it forms a gothic arch at the tip of the blade that provides the ultimate sharpness, strength and durability. With top-grade Sandvik Steel and an intense chromium nitride hard base working in conjunction with a soft Teflon coating, this blade gets the job done while also being gentle on the skin! 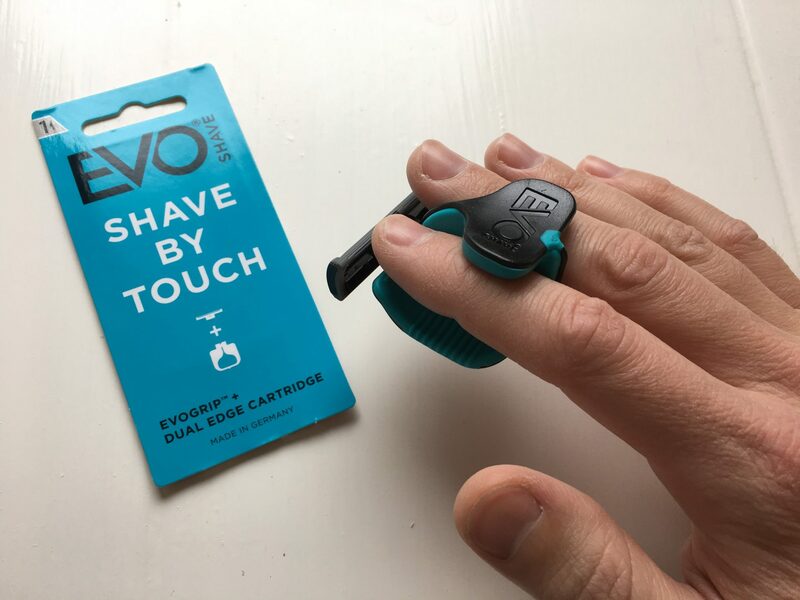 I’ve got to say, looking at the cartridges, they look great and really safe – you can as EvoShave suggest safely rest your finger on the cartridge with no risk of cutting yourself. 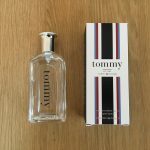 I’ve only used the product the once today so I’ll have to take their word for it that the blade provides the ultimate strength and sharpness – I’ll give it a few goes and report back on how long before the product starts to become blunt. 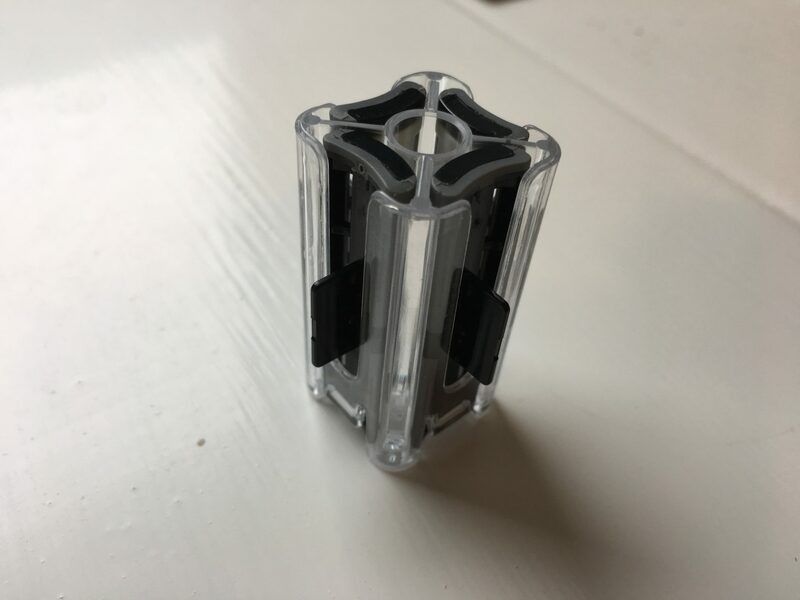 In addition to somewhat revolutionising the razor, the cartridge holder is also something entirely different. 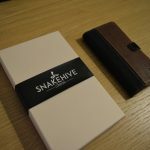 The cartridges all sit handily within a small holder that fits within the case so you can keep everything contained. 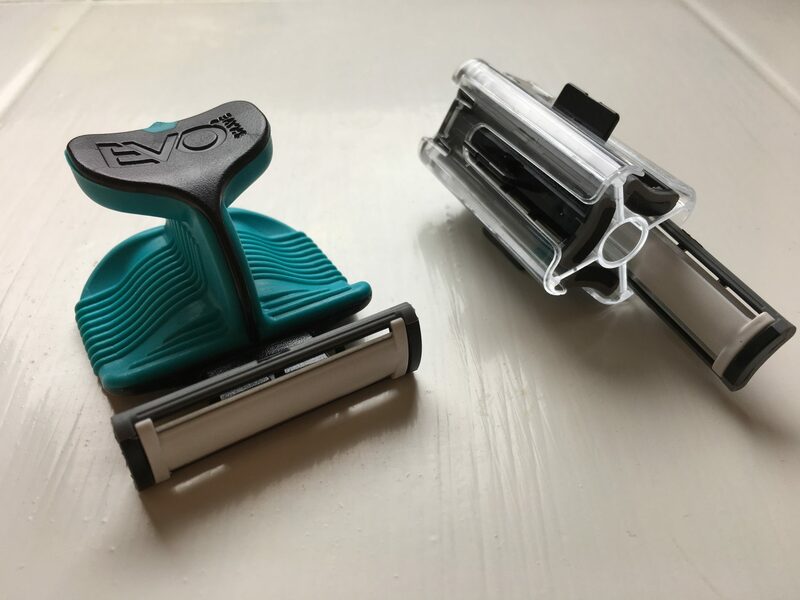 Something to note however is that EvoShave have gone a little bit ‘Apple’ here and designed a product that won’t work with any cartridges except their own – and quite frankly, why shouldn’t they? This is a great looking and well designed product. Having used the EvoShave this morning I’ve got to say, it’s a really comfortable and close shave. The claim that it offers a huge amount more control due to finger tip control over wrist, shoulder and elbow movement is spot on. 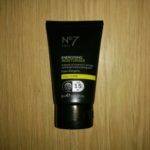 It is an effortless shave and gave really good results. What I really love about the product is the innovation. It’s not like typical razors where the ‘innovation’ is 10 blades instead of 9, or vibrates to ‘stimulate’ the hairs for an easier shave – seriously, pull the other one. The innovation here is a complete re-think and a complete re-design. And it works incredibly well. Overall I think the product looks fantastic and is certainly going to be sitting on my bathroom’s man shelf and a staple of my shaving routine. Up until this point I’ve been using a Gillette razor and quite frankly, it’s now redundant. 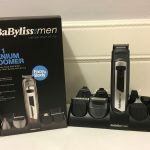 At just £4.99 for the razor and £5.99 for 4 blades from Amazon it’s also an absolute bargain compared to the leading brands on the market. 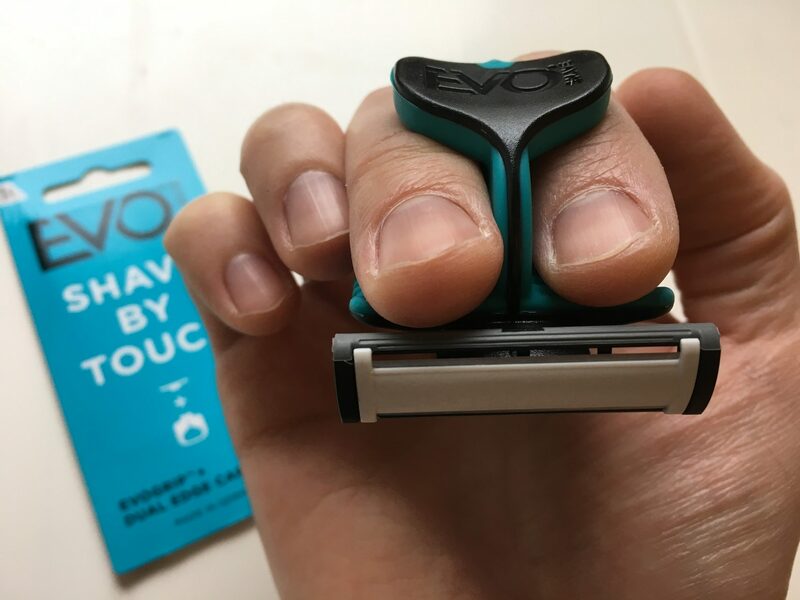 Thanks to EvoShave for creating something so new and different, I love it – 10/10! These look pretty cool! And like you said what a bargain!